In December 2017 the RAF announced that British Reaper drones had reached the significant milestone of flying 100,000 hours of combat operations. First deployed in Afghanistan in 2007 and, on operations against ISIS in Iraq and Syria since 2014, the UK’s Reapers have been continuously engaged in surveillance and strike operations for a decade. However, with the collapse of ISIS in Iraq and Syria, ten years of continuous drone operations should be coming to an end. But statements by British government ministers as well as senior military officers indicate that the UK wants its Reapers to continue to fly, seemingly indefinitely. 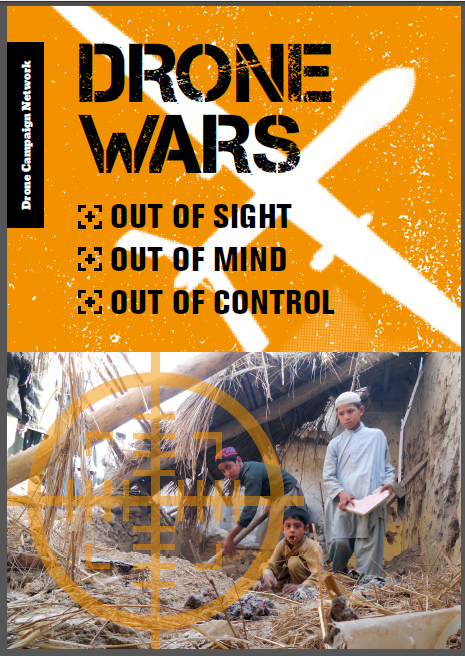 The hyper-asymmetric nature of drone strikes, enabling so-called ‘risk-free’ war, has long raised concerns that the technology would tempt politicians into engaging in permanent war. As we enter 2018, it seems that UK actions may prove these fears correct. UK Reapers and other RAF aircraft have been engaged in military operations against ISIS in Iraq and Syria, dubbed Operation Shader by the UK, at the invitation of the Iraqi government. The UK, the US and others nations came to the aid of Iraq under what international law calls collective self-defence. However, the situation is now rapidly changing. After Iraqi forces secured the western desert and the entire Iraq-Syria border, the Iraqi government declared a final victory over ISIS on December 9. The Iraqi statement followed a similar one by the Syrian government in November, which declared victory over the Jihadist group in Syria after the last town held by the group, Albu Kamal, was captured. Given that Iraq has declared victory over ISIS, it follows that Operation Shader should now come to an end. While it is likely that there will be ongoing guerrilla attacks from the group, this does not mean that the level of armed violence will be of a level to cross the threshold that marks a Non-International Armed Conflict (NIAC) as defined under international law. Alongside these statements have been others, arguing that all UK members of ISIS should be killed. Firstly, in October International Development Secretary, Rory Stewart argued that the “only way” to deal with British members of Islamic State is “in almost every case” to kill them because of the danger they pose to the UK’s security. A few weeks later, the newly appointed Defence Secretary Gavin Williamson also insisted in his first press interview that all British-born Isil fighters should be killed by drone, a position apparently supported by the UK National Security Adviser, Sir Mark Sedwell when he gave evidence to Joint National Security Strategy Committee in late December. One key issue here is whether ‘membership’ of ISIS means that a person is automatically liable to be targeted. While there are continuing arguments about what constitutes membership of an armed group, the International Committee of the Red Cross (ICRC) argues that only those who fulfil a continuous combat function are members of an armed group. In other words, many of those involved in ISIS may not be automatically targetable, even under International Humanitarian Law (the Laws of Armed Conflict). Outside of an armed conflict (and as Iraq has declared victory over ISIS we may well now be outside a situation of IHL), international law is even stricter on when people may be targeted. Government officials’ talk of eliminating ISIS members on the battlefield may simply be a way to sound tough in the face of public concerns about the return of foreign fighters. But it reinforces a dangerous and flawed vision of military action against terrorist organisations that equates armed conflict with a license to kill all members of an opposing group. Such a vision is not compatible with the understanding of the international rule of law that Western nations should be committed to uphold. Along with others, we have long argued that armed remote-controlled drones can seduce politicians into seeing the use of armed force as the easy option: no longer the last choice, but the first. 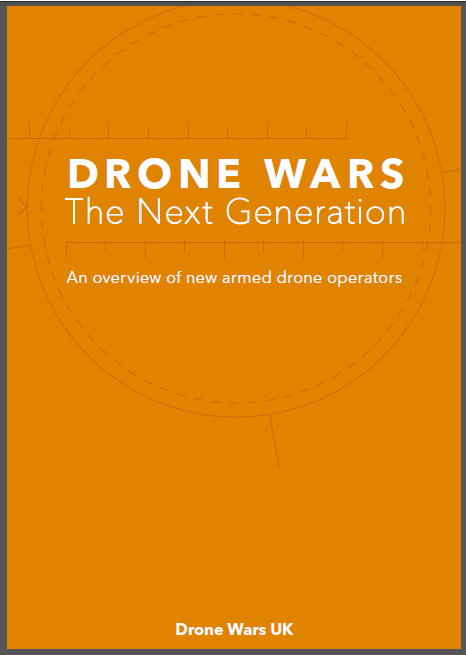 Bellicose statements in the last few weeks by some UK politicians as well as declarations that UK drones will continue to fly come what may are perhaps indicative of the impact that this remote war technology is having. As 2018 begins, the UK has the chance to prove drone critics wrong. 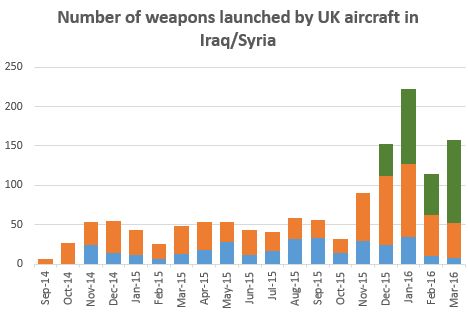 With the Iraqi and Syrian declaration of victory over ISIS, the UK should bring its armed drones back to the UK, just as it repatriates its other armed aircraft. A decade of British drone strikes should now come to an end. If, however, the UK chooses to continue to deploy its armed drones and convinces itself that there is no alternative but to continue to engage in lethal strikes, there should be no doubt of the corrosive nature of drone technology, and we shall have entered the era of permanent war.